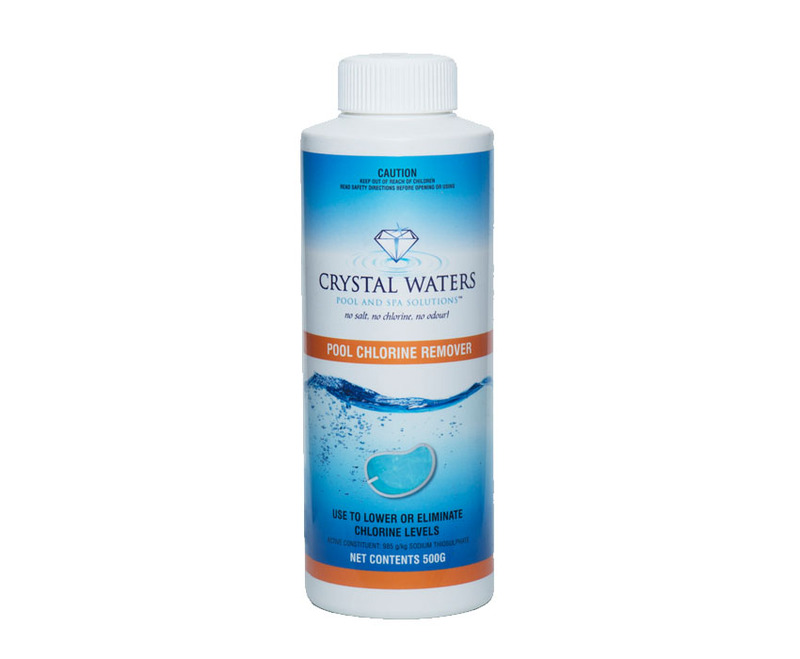 Pool Chlorine Remover is used to remove Chlorine from the water source when you fill your pool. 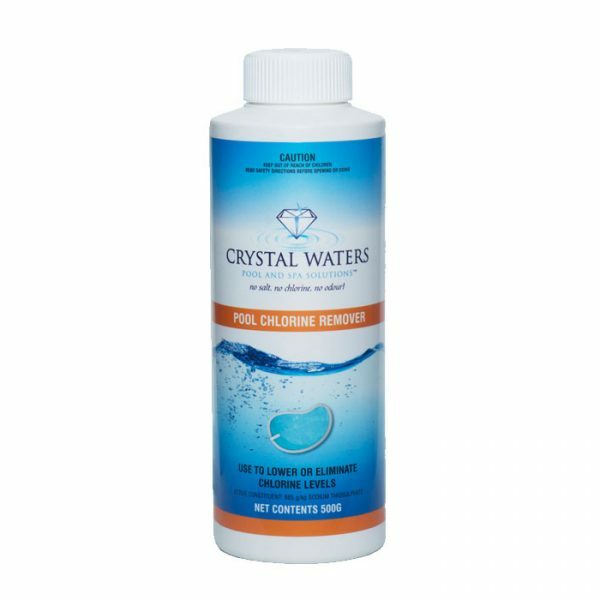 Tap water contains a small amount of Chlorine which is incompatible with Crystal Waters Pool Sanitiser, and will cause water quality issues when combined. It is important to add Pool Chlorine Remover to the water when filling your pool, and each time you need to top up your pool with more water. Dosage: Add 50g to lower Chlorine level by 1ppm in a 50,000L pool.